I wonder if you’re in the same position as us? Every autumn, the cookingfanatic household receives a large number of apples. Mr Cookingfanatic would happily eat apple crumble for three meals a day, but I incline more to variety. 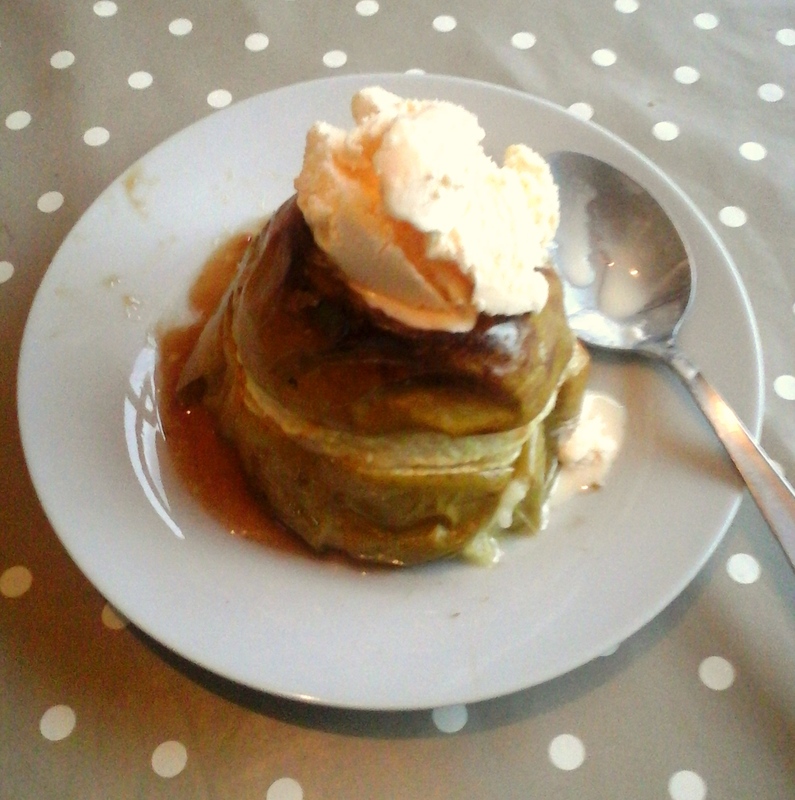 So I’ve put together some of our favourite apple recipes. Hope it gives you some ideas. Feel free to share your favourites in the comments. I’m assuming you’ve got your apple crumble recipe sorted. And of course apple sauce is quick and easy. Whatever you’re making, if you’re preparing a good number of apples, you need some essential kit. My Grandma would just use a small knife for peeling, coring and chopping. Cutting towards your thumb with a sharp knife adds a frisson of excitement to the proceedings, but I’d recommend forgoing the pleasure by using some sensible equipment. You’ll need a corer (not essential, but speeds the process up hugely), a sharp peeler, a sharp small knife for coring or removing bad bits, and a large sharp knife for chopping. First recipe coming up now. Apple streusel cake. 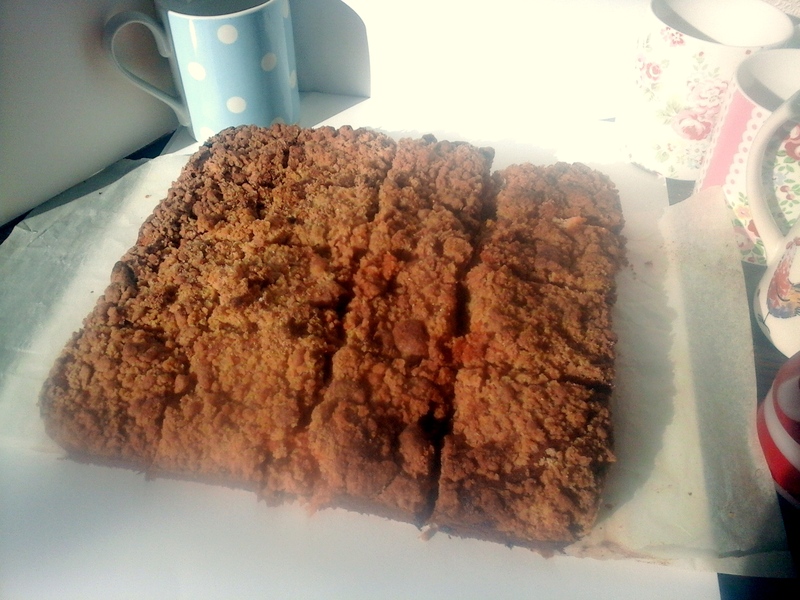 I didn’t follow the recipe exactly – you can see from the photo that I used a square brownie tin. The cake was for church, where portioning needs to be borne in mind, so a square or rectangular tin is the way to go. I also changed the topping, missing out the nuts, and adding a lot more flour, as other people have commented below the recipe. The picture below has a heavenly glow because it’s so delicious (nothing to do with me taking a bad photo). If you’ve spent any time on facebook recently, you’ve probably seen this video for Apple Roses. I had a go at making them, and they are pretty easy. 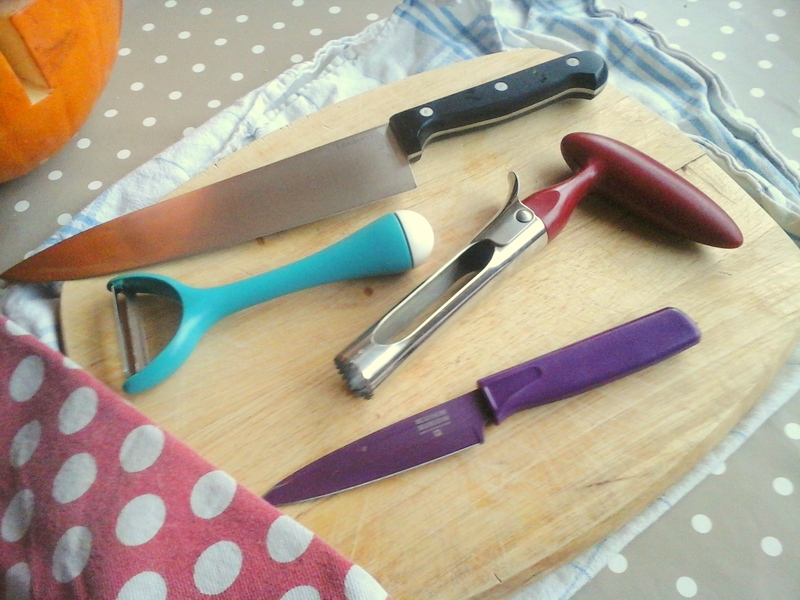 You really do need to chop the apples very thinly though, for which you will need a very sharp knife. (contrary to what you might think, sharp knives really are safer than blunt ones because they are less likely to slip). Also, do watch out the the apple slices don’t burn now you’ve chopped them so thinly. 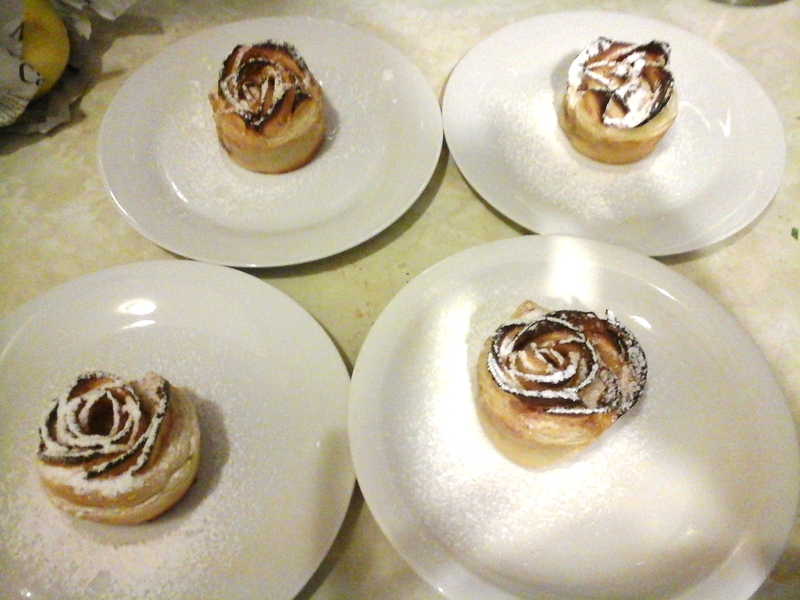 If they do, cover the whole thing with a LOT of icing sugar! 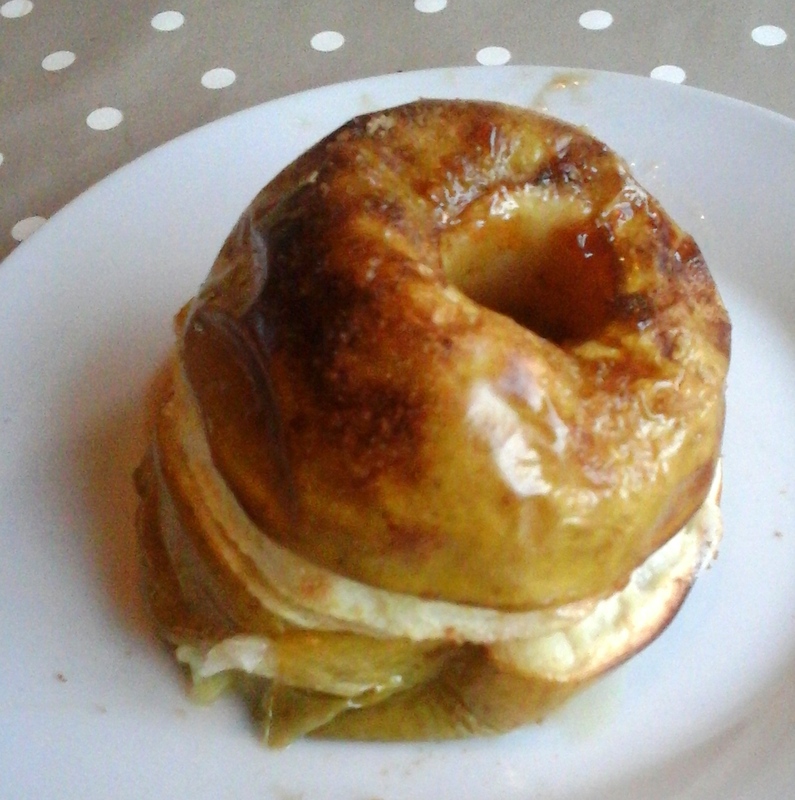 The next recipe is a blast from the past for me: Baked Apples. Take a large apple, remove the core (this is where you’ll regret not having a corer! ), and score the skin in a circle around the “equator” of the apple. Then stuff the core with brown sugar, a bit of cinnamon if you like, and sultanas or whatever dried fruit you have. Top with a bit of butter, and roast in the oven until the apple is soft. The butter and sugar will make a sort of caramel sauce. 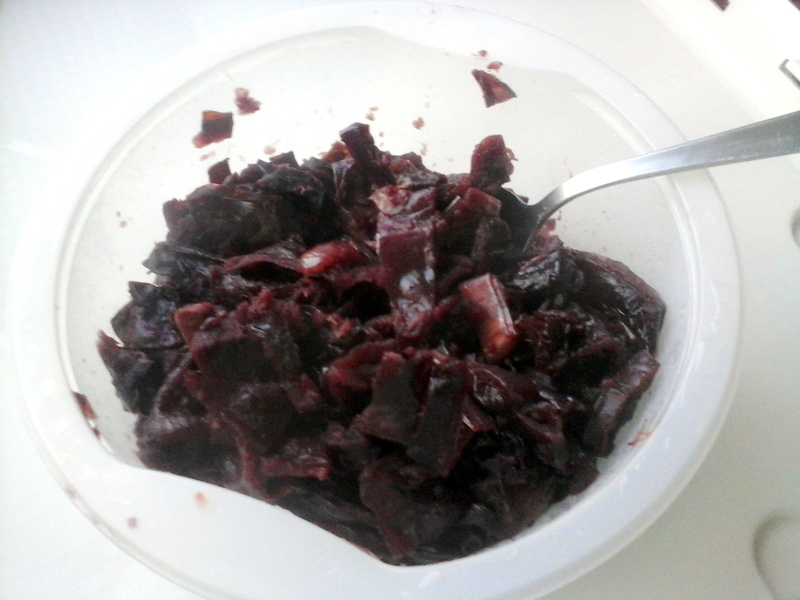 One of my favourite vegetable side dishes is Braised Red Cabbage and Apple. If you follow the Delia recipe, don’t bother faffing around doing layers. Just bung in the ingredients, mix it around, and cook! Her recipe is for 1kg red cabbage which is about 1 large red cabbage. I made a double quantity and froze it in 6 portions. It is a great accompaniment for cottage pie, or corned beef hash, or even Christmas roast turkey! 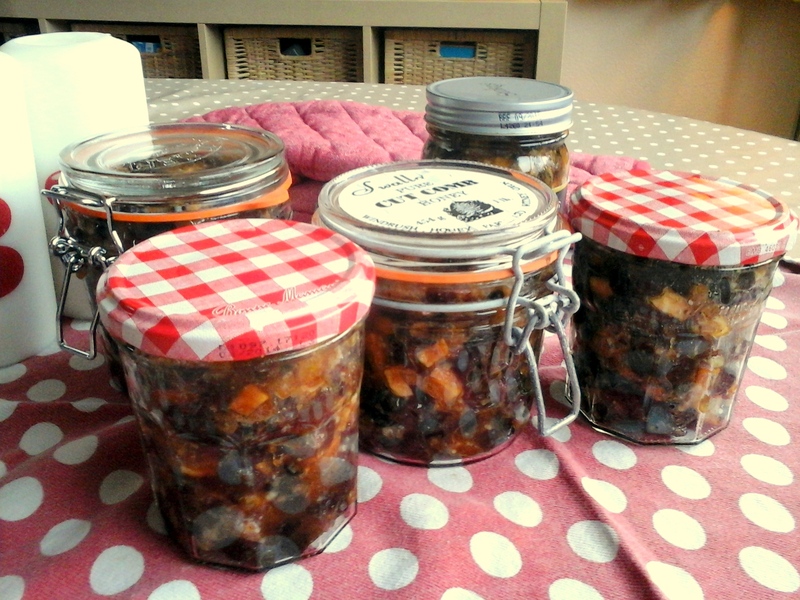 Speaking of preparing for Christmas, I also made a batch of mincemeat. I always sterilise the jars by doing a hot wash in the dishwasher, so much easier! Homemade mincemeat is a lot nicer than shop-bought; it doesn’t have that sharpness that shop-bought mincemeat can have. Obviously use it in mince pies, but you could also add a bit to an apple crumble, pie, or strudel. Or put a jar in a Christmas hamper. On that note, a bit of chutney would also go down well as a Christmas present, or part of a hamper. I hope that’s got you some way to using up your apple glut! Do comment with your favourite apple recipes below.